After the Berlin meeting of the GSM in the autumn of 1985 there was the little problem of finding a UK candidate for the GSM Permanent task team. The British Telecom Research Laboratory let me know that they had a man. They told me his name. I winced. Not likely to attract many votes. Donald Cameron, a marketing executive from Plessey, telephoned me. He suggested William Gosling, their Technical Director, as a part time manager of the Permanent task team. The idea of getting anyone from industry into the closed world of CEPT was a complete non-starter. Even if it had been within the rules I could imagine the howl that would have gone up from the other European manufacturers. Too much was at stake. I could see no ray of hope. I felt glum. Out of the blue Bernard Mallinder phoned me. He was the operations director of Cellnet. He made some gentle enquiries about the position to run the new GSM Permanent task team. He had a lot of international committee experience. He was looking for a change. He said that he may be interested but wasn’t sure how to approach his boss John Carrington. He asked me what the chances of getting DTI support. I said that the DTI would be more than pleased to support him. He was well known and well liked in Europe. I was asked not to say anything to anybody. A day later the phone rang. Equally out of the blue it was John Carrington. He wanted some confidential advice from me. He had an excellent manager ready for a change. What would be the DTI reaction if he were to put Bernard Mallinder’s name forward. I said that the DTI would be more than pleased to support Mr Mallinder. John Carrington said that Bernard was coming in for a chat about his career the following day. He’d be grateful if I would not say anything to anybody. It was a strange experience to know the outcome of a meeting that hadn’t yet taken place between two parties who had no idea of the likely reaction of the other. I was delighted with this turn of events. What unbelievable luck. With a man like Bernard Mallinder as the UK nomination we were in with a good chance. It was unlikely that other PTT’s could offer a man coming anywhere near matching Bernard Mallinder’s qualifications and experience. I ran Bernard’s campaign in confident style. I withdrew from the chairmanship of the committee that ran our digital cellular radio test bed and put him in the chair instead. This enabled him to build up his credentials on the new digital technology. A letter went from the DTI to all CEPT delegations extolling his experience and qualities. This was backed up with telephone calls to administrations likely to be sympathetic. There really is no substitute for a bit of old fashioned lobbying in running a man for an international position. The decision on who would head the new permanent task team was to be taken at a GSM meeting in Athens in February 1986. The election for this new position was well down the agenda. Ample time to gaze around the room. The meeting room was long and narrow. The end wall had a massive window overlooking a breath taking view. By chance the ratio of the height to width of this window was around 16 by 9 – and I mused on the extent to which this was contributing to the pleasure of the view, as this happened to be the aspect ratio of the proposed wide-screen TV’s of the future – another project I was to get pitched into in Brussels a few years later – analogue high-definition TV (HDTV) versus multi-channel Digital Television. This digression is mentioned to illustrate that not all the meetings of GSM were riveting stuff. There was a real art in gearing down one’s mind to the generally slow pace of CEPT standards committee meetings and moving up a few gears when one got back to the hectic normal pace of life. CEPT was very inefficient in its standards making. Many of its meetings were scheduled to last a week. The first half a day was generally a complete loss as delegates dumped on the poor host administration huge thick technical contributions that had to be photocopied and distributed before the meeting could even begin. Then it was the practice in CEPT for each delegation to present their technical contributions. This was pointless as most delegates could read the document in a fraction of the time. There followed two days of productive discussion. Then half a day had to be set aside to prepare the report of the meeting decisions. During this time the host would lay on a coach for a sight-seeing trip. All very agreeable. Then the last day was spent agreeing the report of the meeting decisions – which could often result in a re-run of some of the arguments but more often was a signal to book on an earlier flight home. When ETSI took over GSM a few years later the productivity of standards making shot up. Out went the sight seeing and of course in came the full electronic transfer of documents. All that was to come much later. Before I left for Athens we had a number of enquiries from the UK technical press on what our chances were in Bernard winning the position. We underplayed our prospects. 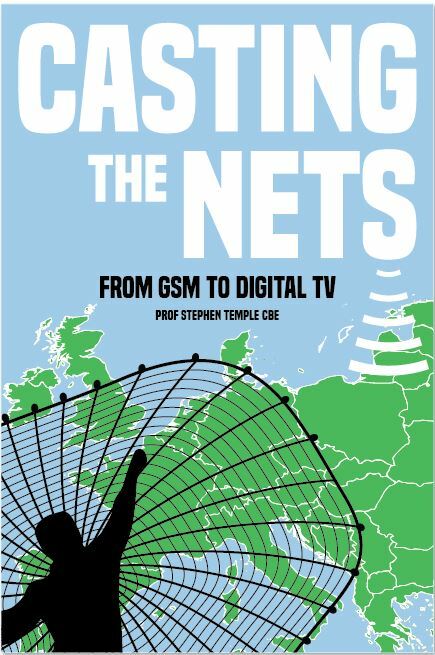 While I was in Athens I was told that Prof Gosling had been interviewed on BBC Radio 4 and talked about the pan European digital cellular radio initiative and of the cliff hanging election which was about to take place in Athens. Plessey did a good marketing job for Bernard (and Plessey). Quietly I knew it was in the bag – entirely due to having a great candidate to field. When the Agenda item came up Thomas Haug went around the table and support from Bernard was unanimous. (Note: The French and Germans viewed Bernard’s appointment as high time that the UK took its share of the standardisation management work and Bernard was seen as the best man for the job but from a UK perspective, at the time, we were marginalised outsiders trying to secure a modest influence entry to what we saw and felt was a well organised Franco-German show).